By using this website and ordering goods from it you are indicating your consent to these terms and conditions. This does not affect your statutory consumer rights. This website is owned and operated by E.P. Barrus Ltd (EPB) of Glen Way, Launton Road, Bicester, Oxfordshire, OX26 4UR (registered in England under company registration number 148476). Purchases from this website are purchases from EPB. * 1.1 The trademarks and logos displayed on this site are trademarks of EPB. Nothing contained on this website should be construed as granting, by implication, estoppel or otherwise, any licence or right to use any trade mark or logo displayed on this site without the written permission of EPB. * 1.2 Assume that everything that you read on this website is protected by copyright unless otherwise stated. You may only use material on this website for personal, non-commercial use. You do not have permission to copy, reproduce, republish, up-load, post, transmit or distribute in any way any of the contents of this website for public or commercial purposes without the written permission of EPB. * 1.3 By using this website you agree to accept the laws of England and Wales as governing the relationship between EPB and you and that the relationship is subject to the exclusive jurisdiction of the English courts. * 2.1 To purchase from us you must be resident in the United Kingdom mainland. Orders will only be accepted from and dispatched to addresses in the United Kingdom. We cannot ship to the Highlands & Islands and Northern Ireland. The following offshore addresses are excluded: the Isle of Wight, the Isle of Man and the Channel Islands. Your electronic or telephone order is an offer to buy from EPB. EPB reserves the right not to accept an order at its sole discretion. * 2.2 Once you have submitted an order, you will receive an automatic e-mail confirming the details of your order (name, address, product ordered, price). Such e-mail is confirmation that the order has been received by EPB and does not constitute acceptance of your order. EPB reserves the right at any time after receipt of your order to accept or decline your order for any reason, regardless of whether your order has been confirmed or your credit card has been charged. If your order is declined or cancelled by EPB after your credit card has been charged for the purchase, EPB will promptly issue a credit to your credit card. * 2.3 Payment for the goods which you order must be made by one of the following credit or debit cards: Mastercard, Visa, Visa Purchasing, Solo or Switch. If your payment is rejected by the card issuer your order will not be dispatched. Payment is made at your own risk. * 2.4 The prices and availability of the goods displayed on this website are subject to change without notice. The title to goods will only pass following payment in full. * 2.5 Whilst we try to display goods on our Site that are held in stock, if the ordered goods are not available we will advise you of this as soon as reasonably possible. You will be given the option of ordering an alternative product or receiving a full refund. * 2.6 By submitting your order you are offering to buy the goods and allowing us to use your personal details for the purposes of supplying goods (including passing your details on to couriers and other subcontractors). * 2.7 We are not obliged to supply the goods to you until we have confirmed that we have accepted your order and received payment in full. * 2.8 All Standard Delivery is free on all products on this site. An optional Express Delivery Service is offered at chargeable rates as advised in the checkout screen. * 2.9 All drawings, specifications, sizes, photographs, descriptive matter and advertising published by us or contained on our Site or in our brochures or catalogues are issued only for giving an approximate idea of the goods described in them and colours shown are intended as a guide only. They do not form part of the Terms. * 3.1 All prices are in British Pounds and include Value Added Tax. We reserve the right to adjust the VAT element if this changes from 20%. * 3.2 Our charges for transport, packaging and insurance, where applicable are detailed on the order page and will be included in the total price of the Goods. * 4.1 Delivery dates of the goods are intended to be an estimate only. EPB Ltd will endeavour to deliver the goods within a reasonable period of time. Orders will be delivered by either a private courier or through our dealer network. We aim to have the goods delivered to you on average within 5 working days (NB. 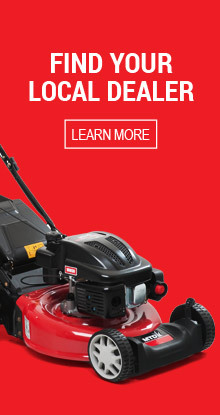 Garden tractors will be 14 days) of the acceptance of your order, however please allow up to 28 days. * 4.2 Upon receipt of goods, please follow carefully the instructions, where applicable, for assembly and advice on how to care for the goods. * 4.3 We will deliver the goods to the address you specify for delivery in your order. It is important that this address is accurate. Please be precise about where you would like the Goods left if you are out when. We cannot accept any liability for any loss or damage to the Goods once they have been delivered in accordance with your delivery instructions. * 5.1 We will warrant that the goods shall be free from defects and function in accordance with the manufacturer’s instructions. In the event of breach of this warranty we will be happy, at our option, to correct the faulty part or send a replacement without charge. We will not accept responsibility for any damage caused by incorrect assembly. * 5.2 All products carry our manufacturer’s warranty, the period of which varies according to the product. The warranty period starts from the date of purchase and is conditional on the product being serviced at the recommended intervals by an approved Lawnflite dealer. The warranty covers faults which may occur due to faulty components or workmanship but excludes consumable items, fair wear and tear or defects caused by misuse. * 6.1 We do not limit our liability to you for death or personal injury caused by our negligence. * 6.2 All reasonable efforts have been made to try to ensure that the information contained on the site is correct and up to date. However, we cannot guarantee this is the case and we shall not be liable for inaccuracies or for your reliance on incorrect or out of date information. Whilst we will try to take all reasonable steps to protect your personal details, we cannot guarantee the security of any data you disclose on-line and will not be responsible for any breach of security unless this is due to our negligence. We do not have any liability to you arising out of your use or inability to use the site. We will not be liable to you for any unforeseeable losses. * 6.3 We will be excused performance of any of our obligations if caused by circumstances beyond our reasonable control or beyond the reasonable control of our suppliers, including without limit industrial disputes, war, flood and changes in legislation. * 6.4.2 Subject to clauses 6.1 and 6.4.1, the aggregate of all claims arising in connection with the goods (whether due to breach of contract, or negligence, or otherwise) shall not exceed the price paid by you in respect of the goods that are the subject matter of the claim in question. * 6.5 Except as set out in paragraph 5.2 above or as otherwise set out in this agreement, we disclaim all terms, conditions, representations and warranties (whether express or implied) to the extent permissible by law. * 7.1 Any personal details you provide to us are kept and processed in accordance with our Privacy Statement. * 7.2 This Site may contain links to other web sites not under our control. We accept no responsibility or liability for the content or availability of those sites. * 7.3 We may not necessarily keep a copy of these Terms and your order. We advise you to print a copy of them for your information in the future. * 7.4 If any section of the Terms are held by a Court or other competent authority to be unenforceable then that section shall be considered deleted and not apply but the rest of the Terms will. * 7.5 This agreement between us is personal to us and no other person who is not party to these Terms shall be entitled to enforce any term of this Agreement under the Contracts (Rights of Third Parties) Act 1999 (or any analogous laws). * 7.6 The Terms are the entire terms and conditions between us in relation to your use of this Site and any purchase made over the Site and no other terms, conditions or representations made by us and any of our employees or agents shall apply. * 7.7 The Terms shall be governed by English law and the courts of England and Wales shall have non-exclusive jurisdiction over any dispute. All dealings, correspondence and contact between us shall be made or conducted in the English language. * 7.8 If you are a consumer (i.e. you are not purchasing either wholly or in part for your business or you are not a business) you have the right, in addition to your other rights, to cancel the contract and receive a refund. You must inform us within 28 days, in writing (including email), if you wish to cancel, starting on the day after the goods are delivered to you. If you choose to cancel then the goods must be returned to us unused, and wherever possible, in the original packaging. We recommend that you retain all of the original packaging until you are sure that you intend to keep the goods. If the original packaging is not available, you should use packaging that would provide similar protection, as returned items must be received ‘as new’ and in resalable condition. Please note: Carriage costs will be refunded only if the item is faulty, or if it differs in any way from the advertised goods. * 8.1 Returned parcels remain the responsibility of the customer until safely received by us. The company does not pay return carriage unless an item is faulty. If you would like us to arrange collection of goods for return, please contact Customer Services. Return carriage costs will be deducted from any refund due. Your statutory rights remain unaffected. * 8.2 Risk of damage to or loss of the Goods passes to you at the time of delivery to you or, if you fail to take delivery at the agreed time, the time we tried to deliver. * 8.3 You will only own the Goods once they have been successfully delivered and when we have received cleared payment in full. Goods supplied are not for resale. 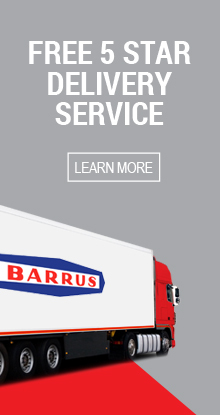 * 9.1 E. P. Barrus Ltd work in partnership with Globalsign to ensure all information you give us during the order process is encrypted before transmission via the World Wide Web,using the latest internet encryption with 128 bit SSL software. If any other internet user should intercept the communication they will only be able to see it in the encrypted form. Visit www.globalsign.co.uk for more information. * 10.1 We will use the information you provide solely for the purposes of processing your order or enquiry. Details required as part of the payment process for security and validation checks will be passed to Barclaycard Merchant Services. * 10.2 Your name, address and telephone number will be passed to your Lawnflite specialist dealer or private courier to allow them to deliver your order.